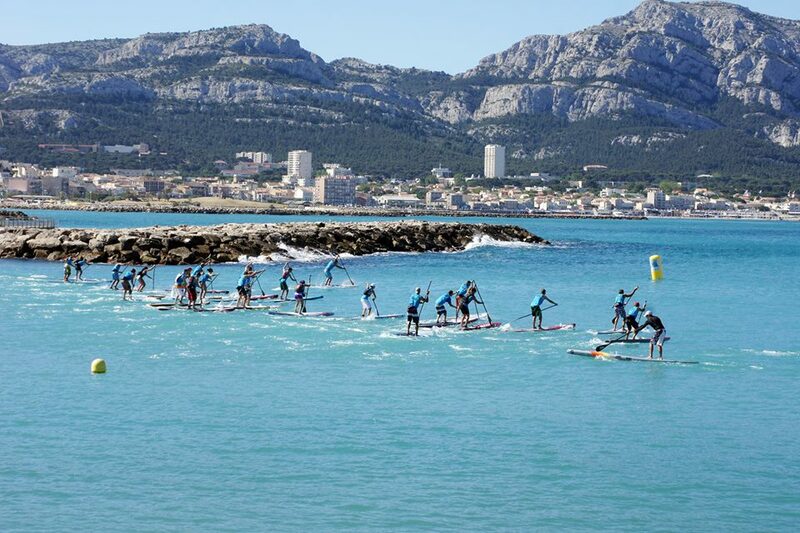 Take a look at the latest results from Europe, with the Massilia SUP Race happening in Marseille on the French Riviera this past weekend. 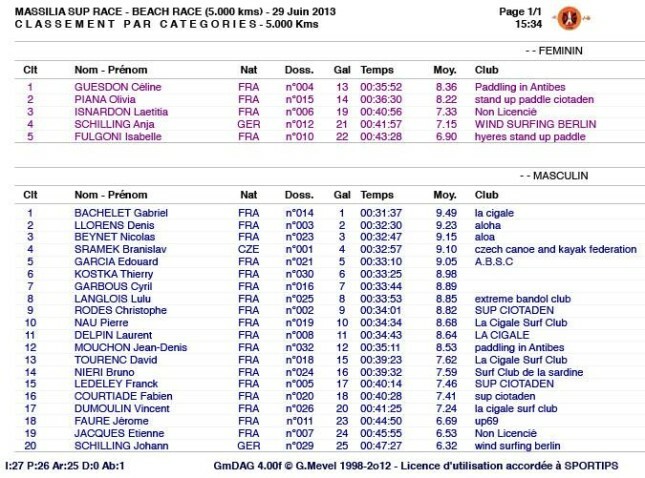 Gale force winds forced a late change of course, with the distance race being cancelled in favour of a 5km Beach Race, in order to spare the newer paddlers being blown off to Corsica… This is something paddlers are getting used to in the Mediterranean. When the paddlers did get onto the water, it was an all French affair as Celine Guesdon edged out Olivia Piana in the women’s race, while up and coming French kid Gabriel Bachelet dominated the men’s event. Don’t get me wrong; there’s still a tonne of SUP Races in Europe over the next couple of months, but for now most of the region’s top paddlers will be heading to Hawaii for “Downwind Month” and then prepping for the BoP in September. Though in between there’s a very big race in Germany; the Hamburg Paddle Challenge from August 16th-18th, which is part of the 2013 Stand Up World Series. This event is a revival of the classic Jever SUP World Cup that kick started the SUP revolution in Europe a few years back, so it should be a big one.